Want to read Greg Stier's latest book for free? 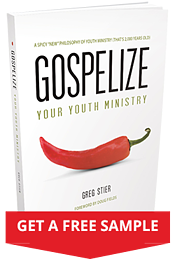 Subscribe via email and never miss a blog post, plus you'll get 2 free sample chapters of Greg's latest book, Gospelize Your Youth Ministry! Click below to customize your notification frequency.